Small business edition offers high value for business owners. CorelDRAW Graphics Suite X7 - Small Business EditionCorel has released CorelDRAW Graphics Suite X7 – Small Business Edition, its graphics solution for small business owners. 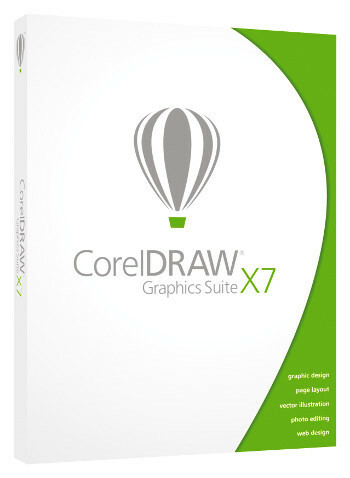 The suite provides access to three full licences of CorelDRAW Graphics Suite X7 with a single purchase. Small business owners can therefore access professional design tools in a cost-efficient manner. CorelDRAW Graphics Suite X7 – Small Business Edition provides users with a customizable user interface, helpful welcome screen and hours of training videos. These features allow business owners to get up and running quickly, and tailor the program to a specific workflow. This makes it easier for them to create professional graphics and page layouts, edit photos and design websites. To add even greater value, the suite also includes 10,000 clipart and digital images, 2,000 high-resolution digital photos, 1,000 OpenType fonts, 350 professionally designed templates, 2,000 vehicle templates, 800 frames and patterns, over five hours of training videos and much more. CorelDRAW Graphics Suite X7 – Small Business Edition is available in English, German, Polish, Russian and Czech. It is priced at £699 (excl. VAT) and is available in both a box and download version at www.coreldraw.com. One purchase includes three licences.